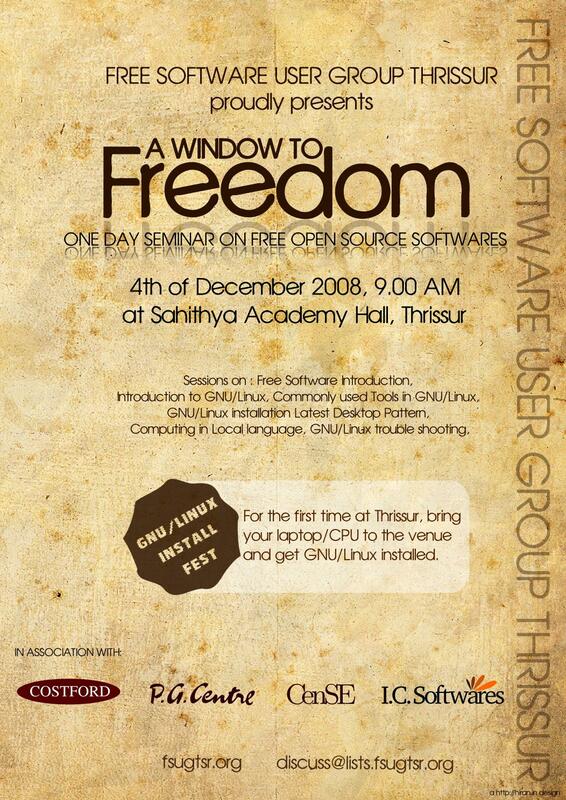 The first event organised by FSUGTSR, Free Software Users Group, Thrissur, is going to be on Dec 4th, 2008 at Sahitya Academy Hall, Thrissur. “Window to Freedom – A One Day Workshop on Free Software” . 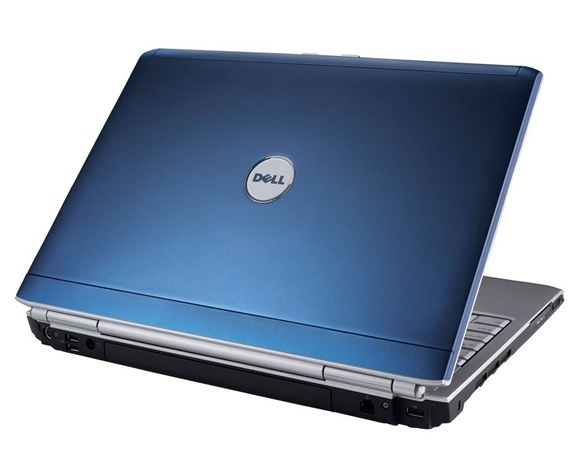 This event mainly aims at giving an introduction to free software. The further details of the programs are available at the wiki page http://fci.wikia.com/wiki/Thrissur/04Dec08Meet. Brochure and poster have been designed for the event. The poster was done by Hiran. The brochure was designed by some students of GEC,Thrissur. All the tools used for designing the poster and brochure were free softwares. Only Open Office, Scribus, Incscape, etc were used. TALK IS CHEAP… SHOW ME THE CODE.. I just saw the promo video of FOSS.IN 2008. It’s a well composed video that tells of what is going to happen at this year’s edition of FOSS.IN. Do check it out. The video kind of made me rethink of my decision not to go to this year’s FOSS. Best of Luck to all the organizers. Hope it’s going to be a huge success. You are currently browsing the My life blog archives for November, 2008.